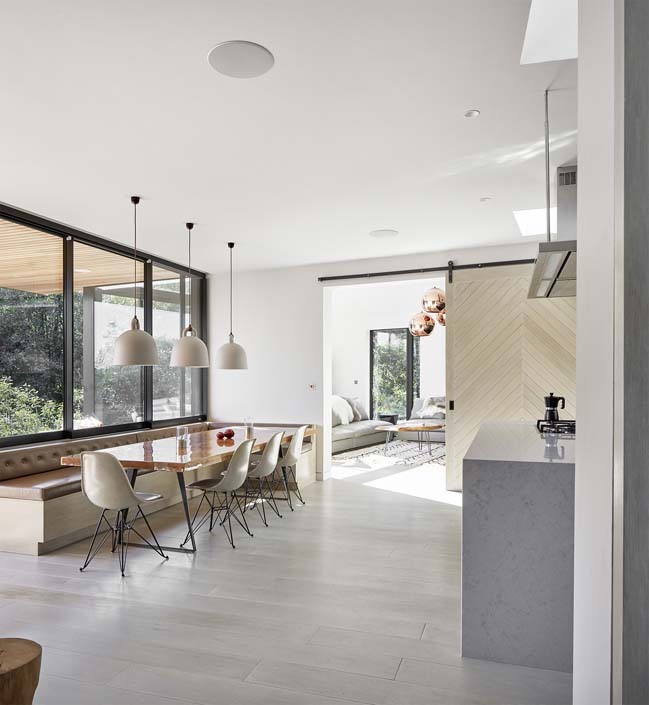 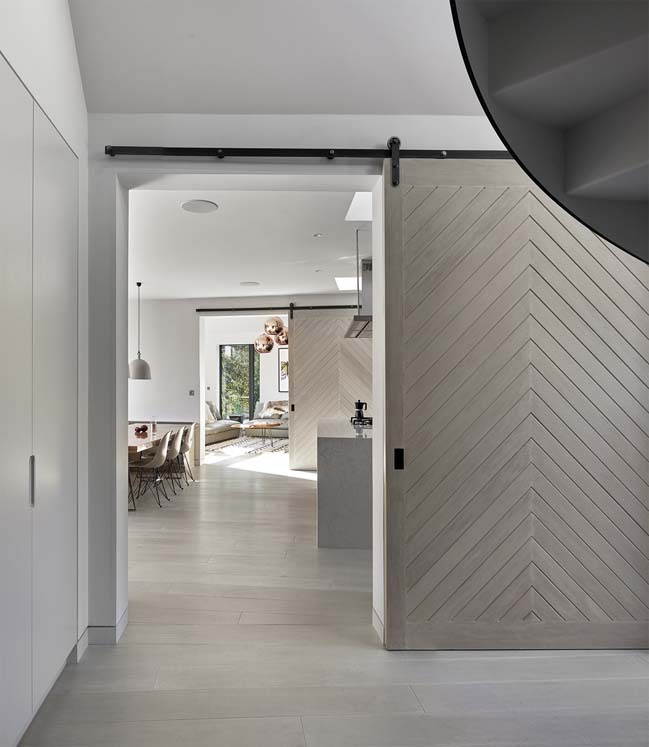 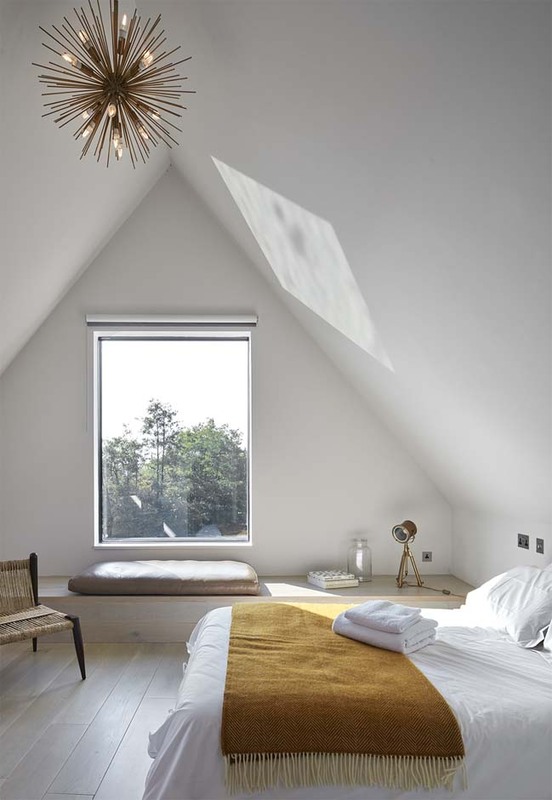 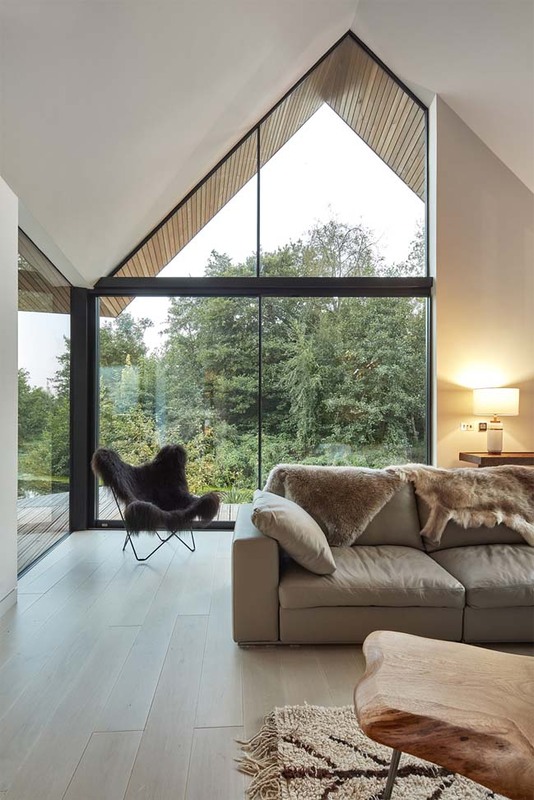 Backwater is a new detached eco-house by Platform 5 Architects to offers a contemporary counterpoint to more traditionally designed neighbouring houses. 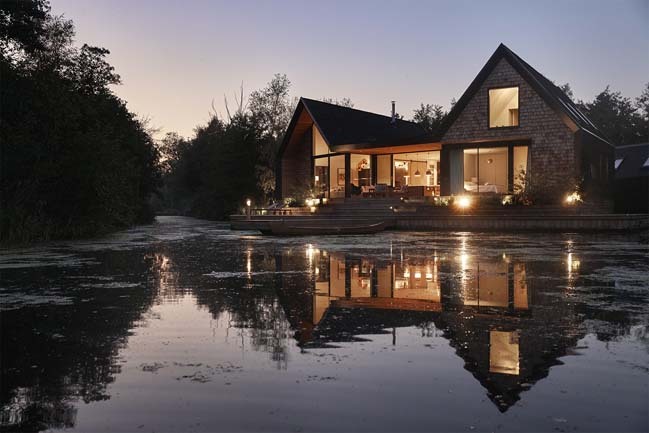 From the architects: The house sits on a small promontory in a secluded lagoon in the Norfolk Broads and offers a contemporary counterpoint to more traditionally designed neighbouring houses, while respecting the peaceful natural setting. 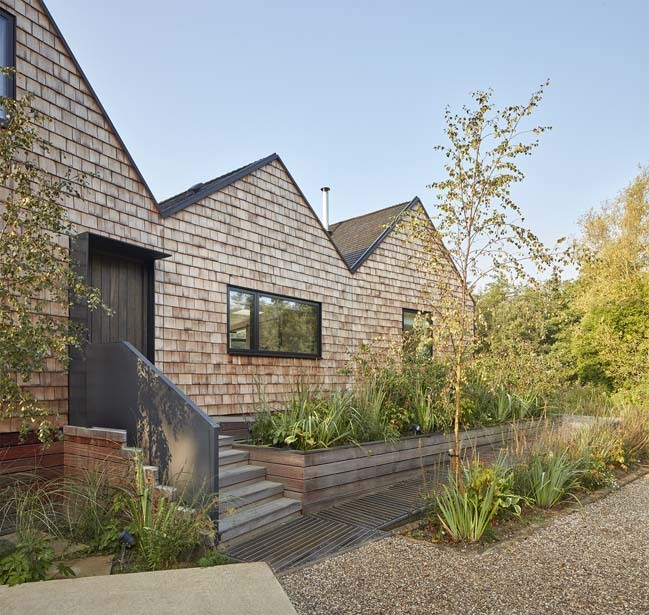 It is arranged as three low rise bays beneath a series of pitched roofs, which are reminiscent of nearby boat sheds. 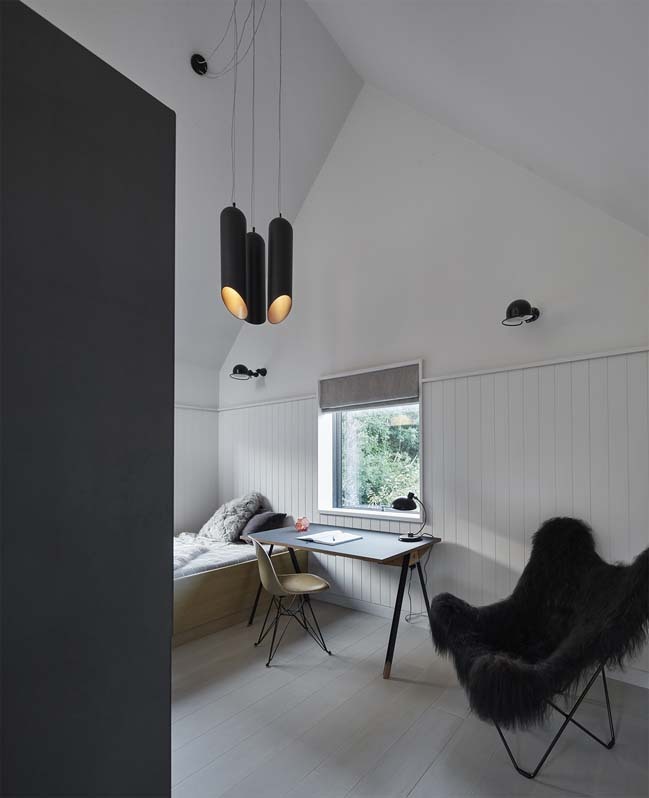 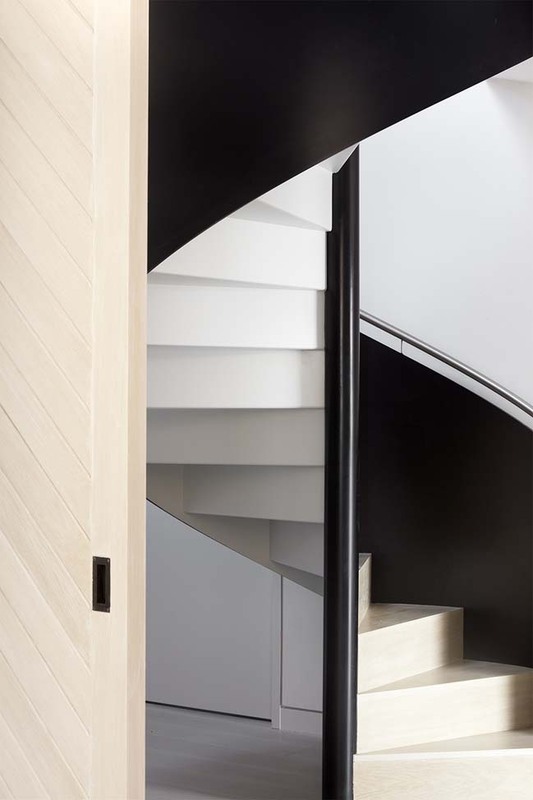 The house is clad in black-stained timber shingles, a traditional material forming a unifying ribbon element that emphasises its classic Broads silhouette. 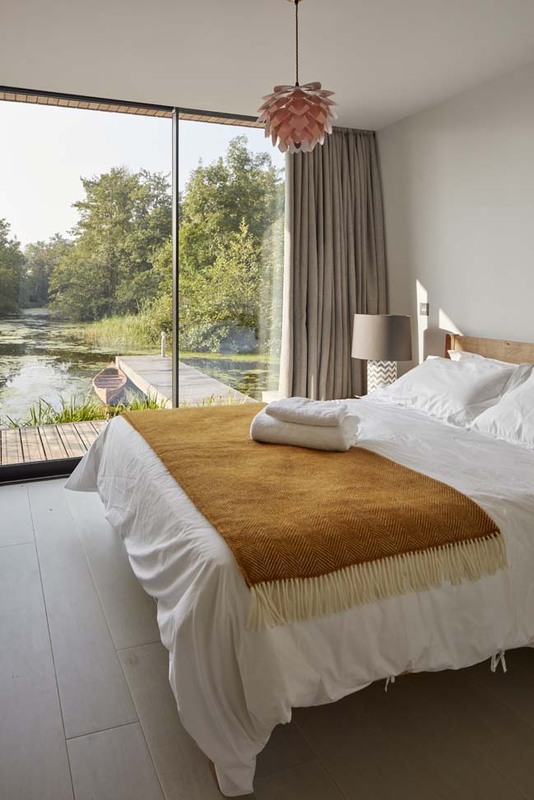 On the lagoon elevation, extensive glazing gives a more transparent appearance from the waterfront, and a deep canopy creates a sheltered outdoor area where you can enjoy the setting and the elements. 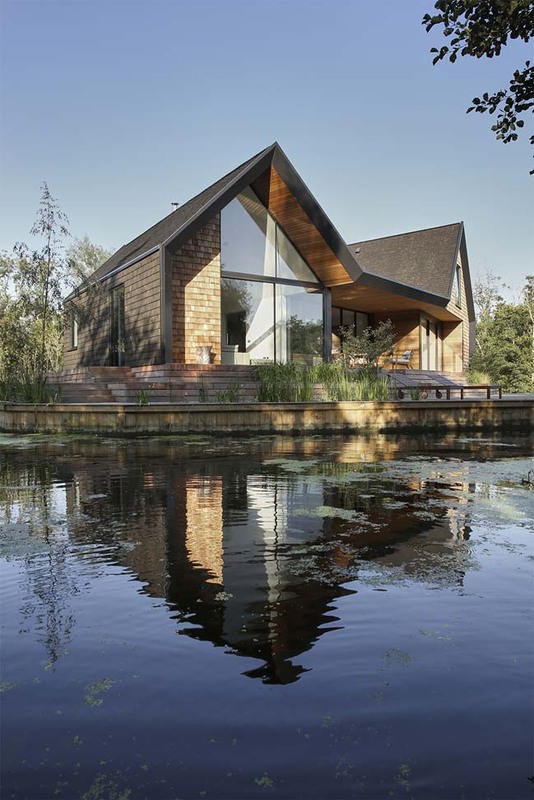 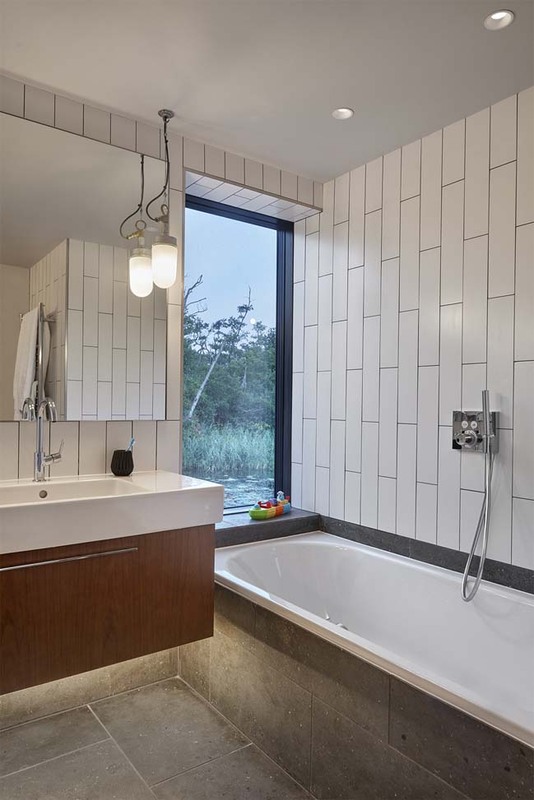 The house is raised above the waterline, allowing floodwater to flow beneath a landscaped timber deck. 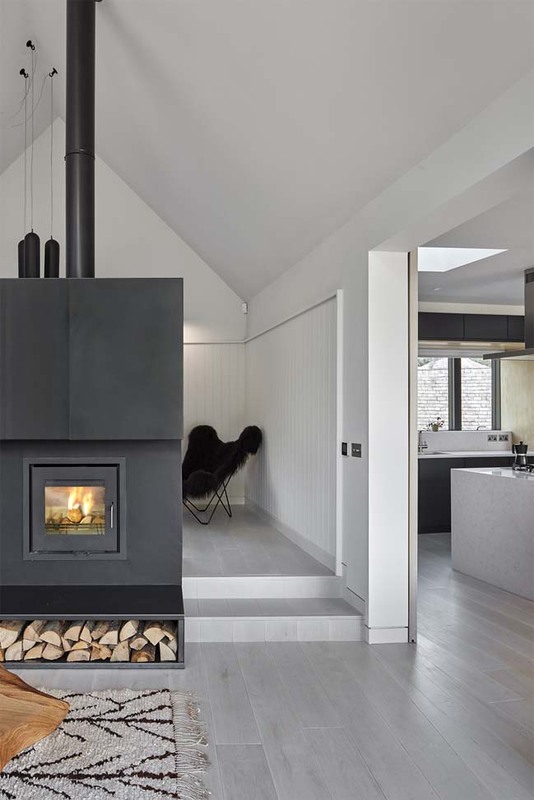 Its remote, largely off-grid location requires on-site sewage treatment and a water borehole whilst solar panels and timber stove provide power and heating. 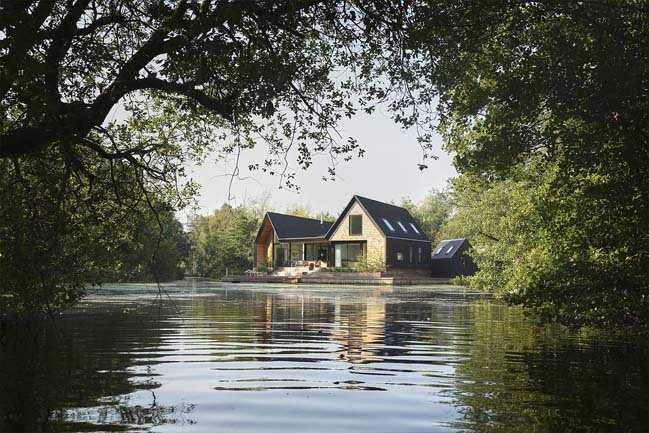 The limited access has resulted in the design being developed as a lightweight timber frame sitting on a piled ground structure as construction materials will need to be brought in by barge.